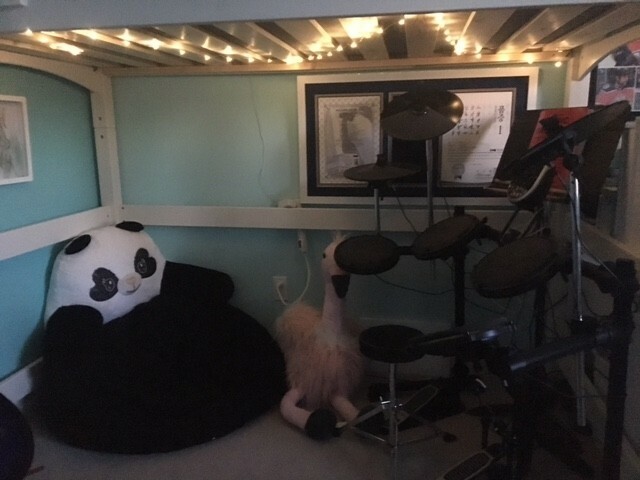 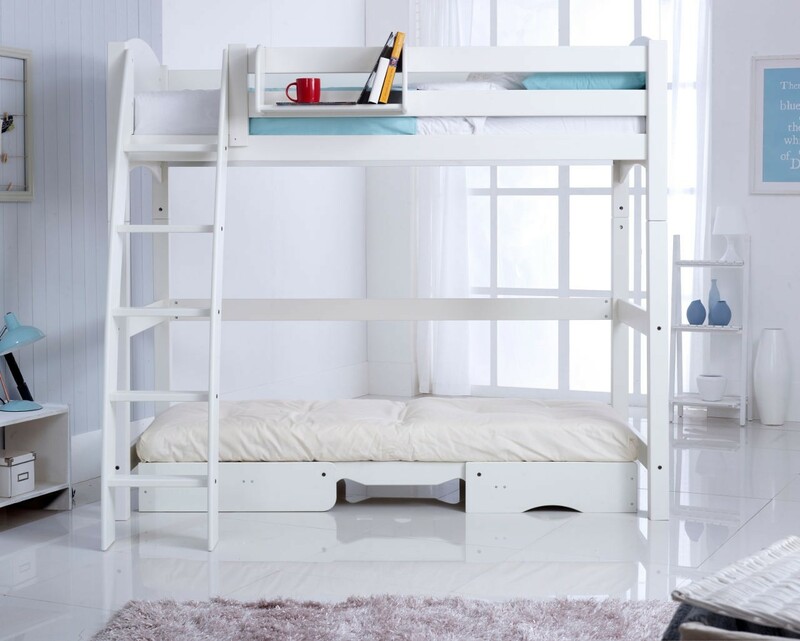 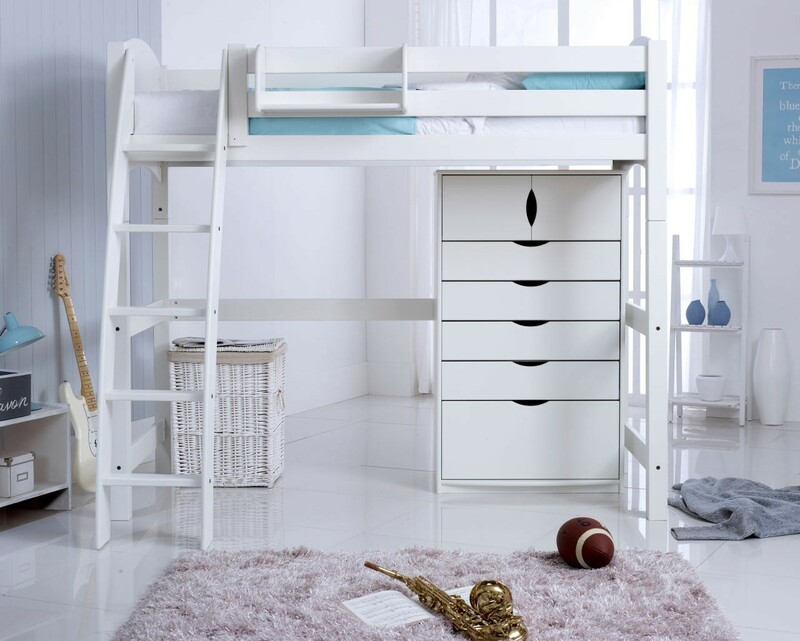 The Scallywag Loft Bed for kids is higher than the Cabin Bed. 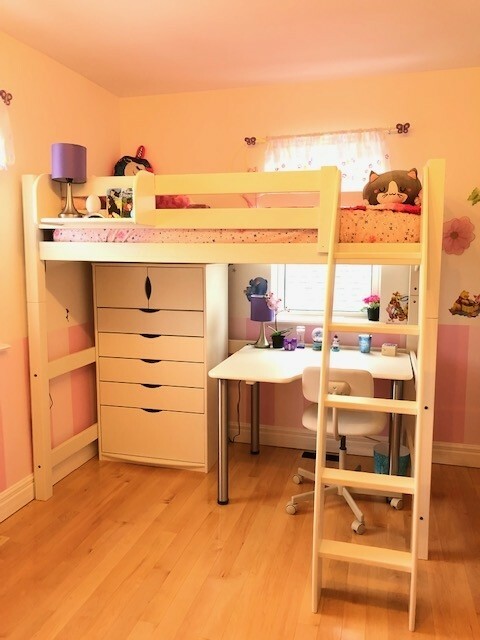 The strairs (straight or curved) can be positioned on the left or right at assembly and the space underneath can be utilized for desk & more! 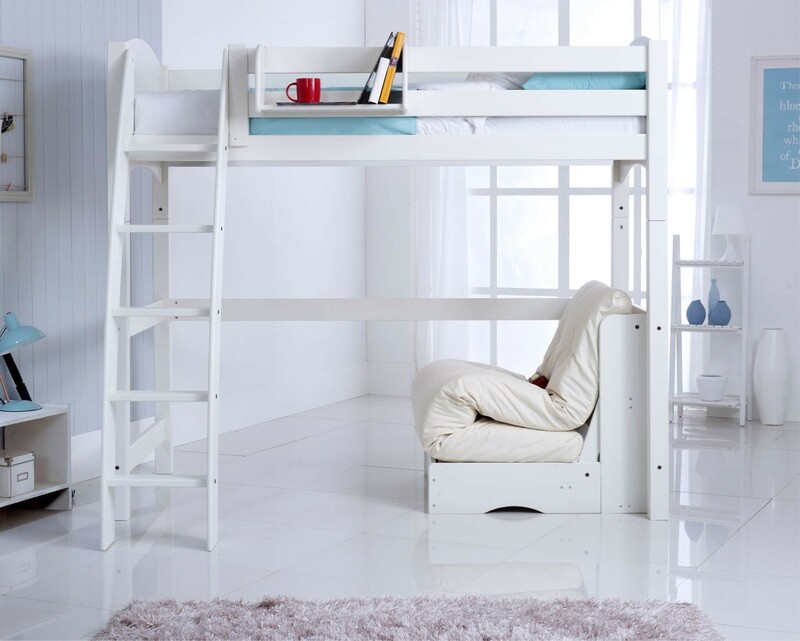 The "High Sleeper", as they call them in England! 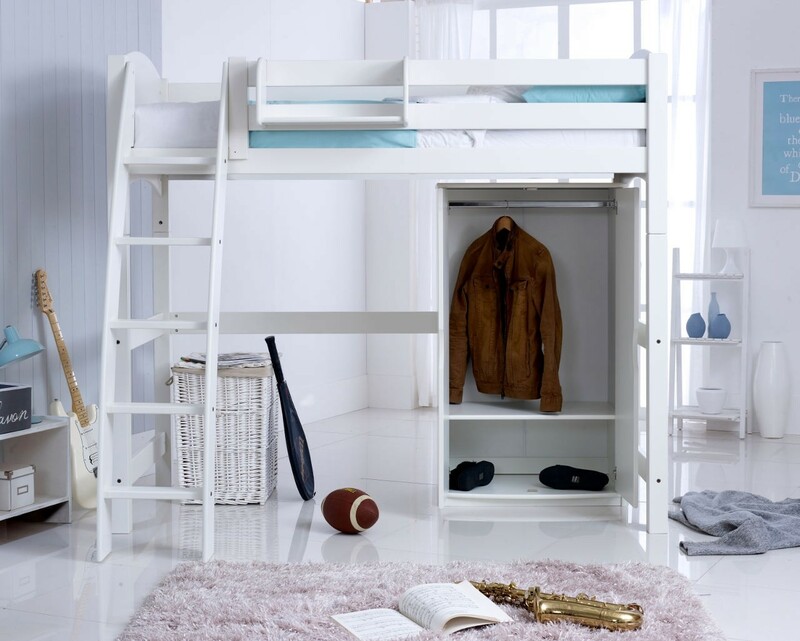 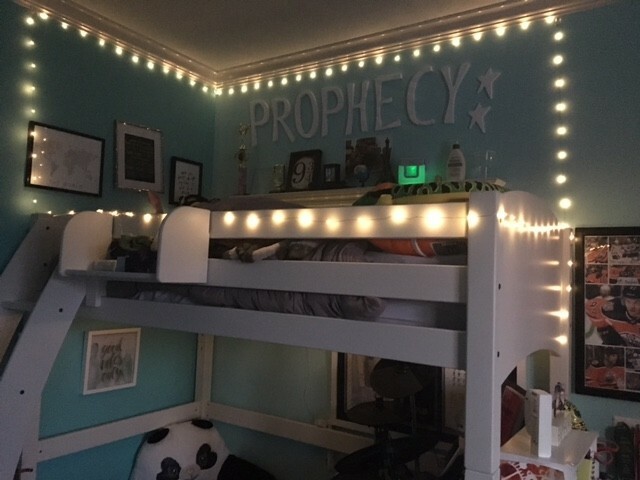 Maximize the space under your loft bed for desks or storage! 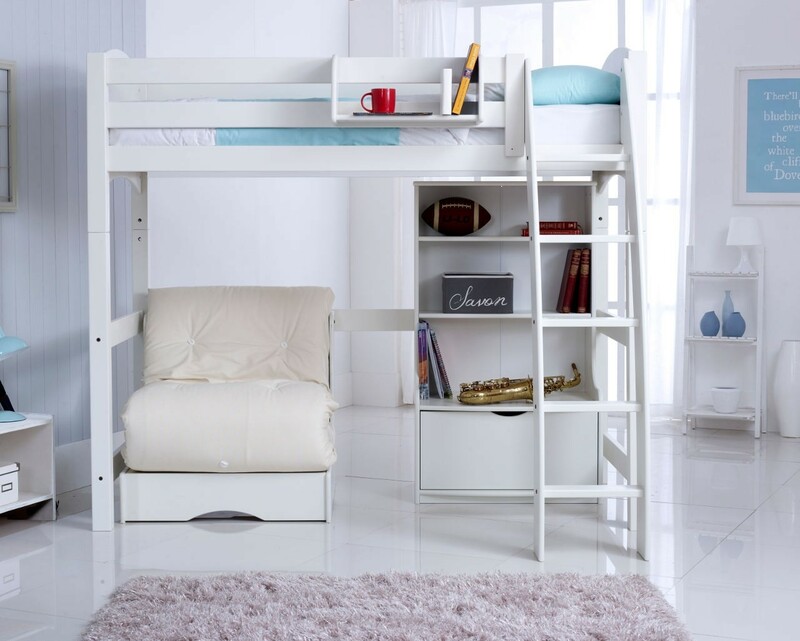 You can purchase the entire bed or just the conversion kit (if you already own starter, cabin, or bunk Scallywag beds). 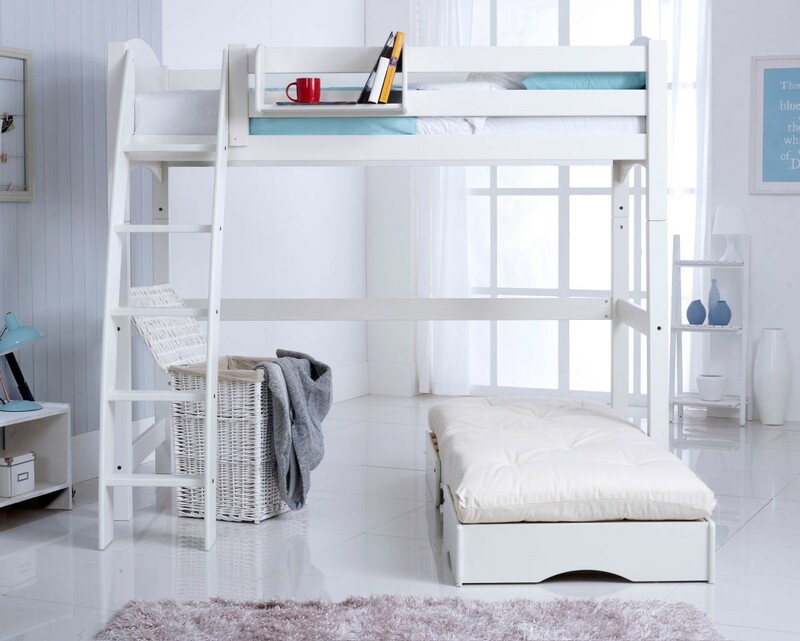 Bed frame, rails, ladder treads, and legs from solid Scandinavian pine, side panels from high density wood composites. 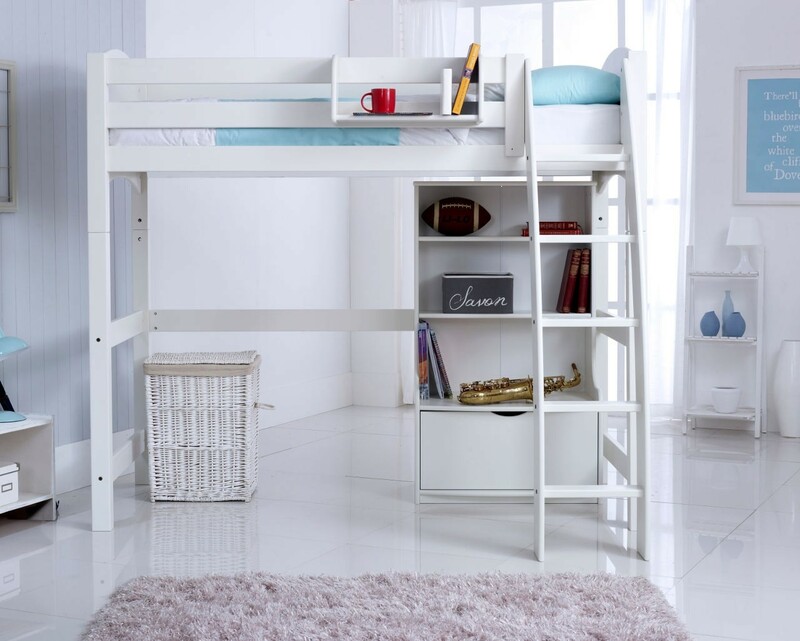 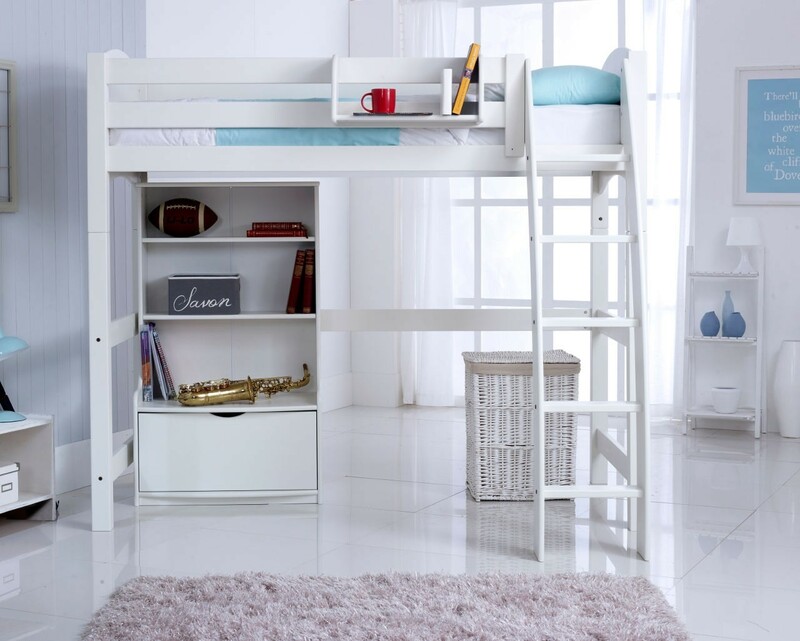 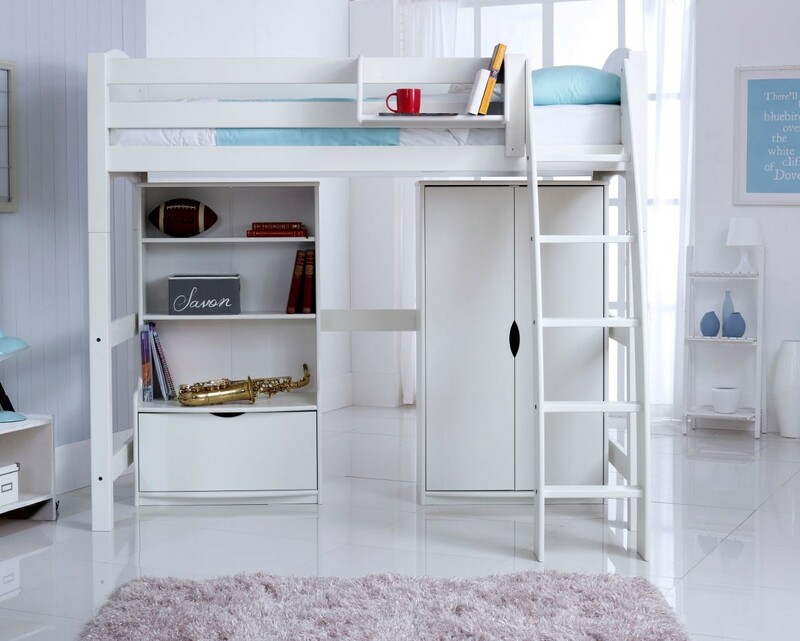 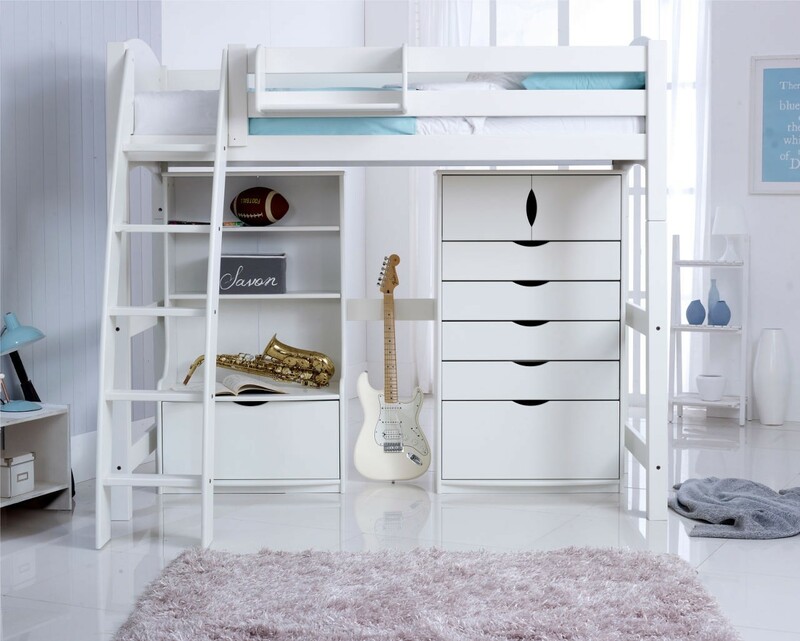 Scallywag Loft Bed fits a standard Twin mattress size.